Update November 24, 2016: Each Vive sold is profitable, and HTC emphasise that their sales are much higher than 140,000 units. 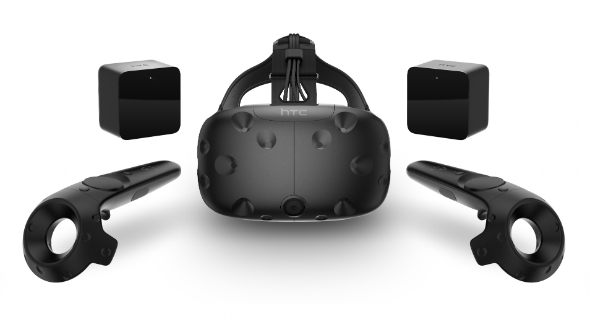 About a month ago, we heard that sales figures for the HTC Vive “far exceeds 140,000”. This number was raised in HTC’s Q3 earnings call, in which executives were keen to emphasise the ‘far exceeds’ part of that statement. Bought a Vive? You should check out our list of the best VR games. He concluded his answer with the statement “We do sell per-unit Vive at a profit”. You can check out a transcript of the earnings call here. As much as HTC want to insist on terms like “far exceeds” and “much more than”, we like exact numbers, especially because when a number is announced, it’s typically rounded to the nearest appealing increment. So, it’s reasonable to suppose that Vive sales are closer to 140,000 than 150,000, say. Original story October 20, 2016:Vive sales seem to have picked up the pace this past month or so, with 40,000 untis sold since August, bringing the total to 140,000 units sold. These numbers aren’t too shabby, considering the headset requires a high-end PC to even work. It’s not like buying a new TV or something, as VR headsets rely on other, expensive technology to power them. Then there’s the expense of the unit itself, with Vive costing a whopping £759. I’d say that 140,000 sales since release in April is pretty good. It might not be as mainstream as phones or laptops, but the adoption rate seems strong so far.